Do you know a child who is reluctant to read aloud? 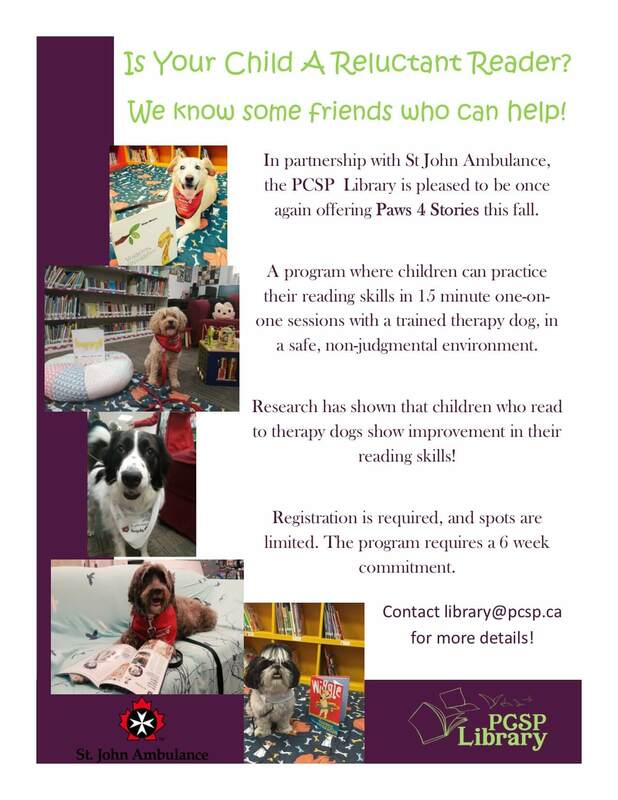 We offer a unique program called Paws 4 Stories, in which children read out loud to therapy dogs. Fall session begins tomorrow, Tuesday September 18th.